Celebrate your Bachelorette party or wedding day with style and fun. 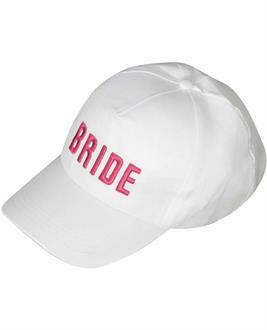 The Bride hat from Forum Novelties will help you get your party on! A traditional white baseball cap with the word â Brideâ written in pink, block letters.